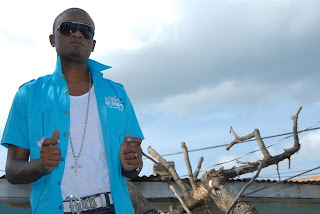 Known for his tenacious dancehall tribute to international cricketer Courtney Walsh in 2000, recording artist Rohan Alphanso Stephens more popularly know as Zumjay though currently an enlisted member of the U.S Army Reserve is still making moves as a deejay and in a recent interview says music is still apart of his future. "Well right now as most people already know I'm a member of the U.S Army Reserve but what a lot are unsure about is if I'm still doing music and the answer is yes. Zumjay will never stop doing music despite everything that's going on around me. I have a number of new projects working on and I can assure the fans they will not be disappointed". Zumjay who visited Jamaica during the month of August shared that his conversion into the Army was an experience within itself that he welcomed. "Going into the Army I was looking at providing myself with the opportunity to go back to school and better myself and family but after doing the combat training it open my eyes to a lot of things. They make the training so real they use live explosive and technique to adequately prepare you for front line duty and I welcomed every lesson". When asked about how his music would fit into his army life Zumjay explained his plans, "Well technology is a hell of a thing and I try to keep up with it as best as possible. Right now I have my video camera and also my laptop so I want to start doing some video blogs from where ever I'm deployed to. The videos wont have any set format but I know I want to do some freestyles and show my fans how I'm doing on a weekly basis". Currently promoting his singles "Hello Jamaica" and "Making Money" on the Bees Pitch Riddim Zumjay is promising great things for the future. "I am a force to be reckoned with in the music industry and you can look out for me. I am working on hit singles and then moving on to albums in the future," he said". DOWNLOAD LINK FOR "HELLO JAMAICA"